Deep Blue Divers...your one-stop dive facility for sales,service, education, travel and more! We got them at Deep Blue Divers. Our staff can answer any questions or concerns you may have from those looking to get certified to those looking to expand the skill-set beyond recreational. Stop and let's have a chat. We sell and service the top brands in the industry. Names such as Aqua Lung, Apeks, DUI,Fourth Element, Ikelite are but a few of the brands we carry and are synonymous with top quality...and isn't that what you want with life-sustaining equipment? 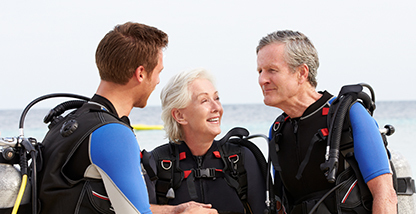 We have monthly classes for those looking to take that first plunge and get SCUBA certified. Beyond that we have a myriad of specialty classes at various times. Be sure to check our class page for more information. Looking to dive a tropical paradise? If you just got certified and are ready to take your first trip or are a worldly traveler, we have a wide array of dive trips that span the globe. 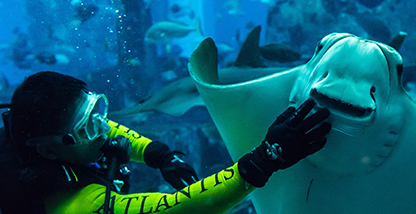 Check our "Dive Trip" page for the latest exciting trips. Deep Blue Divers is pleased to have you visit our website. 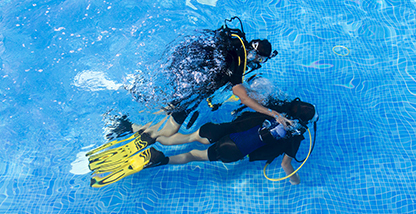 Click through the pages to learn more about SCUBA diving, our unique facility and some of the exciting adventures you can be a part of as a SCUBA diver. If you are out by Costco's, we are just a couple buildings west and you should stop in. Our address is 1313 Progress Road and we are open Tuesday - Saturdays. We will give you a tour of the place and we can show you our two, 25' deep pools that are kept at a very comfortable 86 and 82 degrees. If you are curious about how to get SCUBA certified, we can answer any questions you may have and sign you up for one of our many classes. Beyond education, we have a full range of high quality gear from the top manufacturers in the industry. Aqua Lung, Apeks, DUI, Fourth Element, Sea Life, Ikelite are just a few of the high quality product lines we carry. We service all makes and models of gear as well (except for a few that are no longer around). 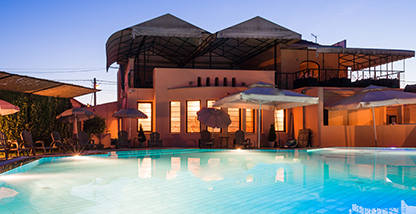 Perhaps you are already certified and would like to use your new skills in a tropical paradise. Be sure to check out our "Dive Trip" page as we travel the globe and have trips that cater to all skill sets and budgets. The other nice thing about our trips is you are going with a group that is very familiar with the area as well as diving and thus will make sure you have a grand time on your trip.